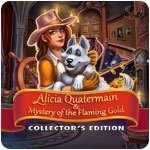 Alicia Quatermain 3: The Mystery of the Flaming Gold CE Game - Download and Play Free Version! 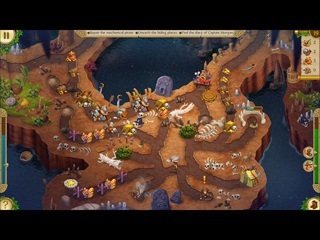 Alicia Quatermain, a well-known adventurer and adrenaline junkie, is invited by sir Gringray to a charity ball - a common social event where no surprises can happen. But who could think that the thing would go wrong, really wrong! In the midst of the party fun there appeared a ghost that seized sir Gringray's family relic called the Sword of Seven Seas and vanished in the air with the artifact as suddenly as it turned up. What was the reason for the ghost to appear? Why did it steal the Sword of Seven Seas? Is sir Gringray's family relic lost forever or can it be still regained? And the main question - shall Alicia agree to help sir Gringray to find the Sword of Seven Seas, or shall she revise her lifestyle and change her adventurer habits by turning into a glamorous lady and a habitue of elite parties? Are you really curious to know it? 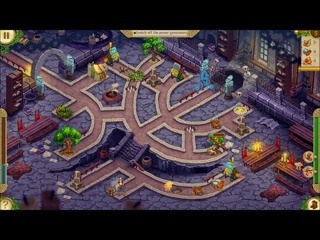 Then don't hesitate to follow Alicia Quatermain to the ball to be a witness of the beginning of a new incredible story. Drop everything and hurry up!